The new generation is video generation. Â The use of sound (audio input) is becoming more critical than ever. The environment is becoming more sonic by abbreviating communication in the real world. It does not come as a surprise when Bruce Bendinger suggests: â€˜Marketing does not have a â€œblind spotâ€, it’s deaf! Too many operate with the audio dimension totally underleveraged. Â Brands are not taking advantage of unique audio opportunitiesâ€™. Colleen Fahey, Managing Director of SixiÃ¨me Son USA and Laurence Minsky the award-winning copywriter, marketer and professor at Columbia College have written â€˜AUDIO BRANDINGâ€™. It is a practical do-it-and-learn guide and workbook explaining the art of audio branding. Added input by the guest commentators sharing their Perspective and point-of-view is a bonus. It adds to the book impact and experience. They add a new dimension to the subject. The book â€˜Audio Brandingâ€™ Is Full Of Real Life Examples. Unfortunately, there are no Indian examples, but the people in Advertising-Marketing will relate to the examples. Â However, most of us are familiar with the Doordarshan news, IPL song, Chennai Super Kings song, Colgate ring of confidence and Nirma as an example of audio branding examples. The right music and audio language help build brand authenticity. The argument by Mickey Brazeal from Roosevelt University as Guest perspective in the chapter â€˜The search of your soundâ€™ makes a logical point. The book rightly puts audio branding into perspective. Â It treats audio branding like any other element of brand development. It urges you to develop a guideline (DNA / MAP) of audio language for the brand and an audio logo that then becomes an integral part of brand communication and connect across touch points. So before you start, do answer these simple, tough questions. What are the codes, clichÃ©s, and expectations of the category? What does the competition communicate, even visually? What- if any- music of brand sounds they use? Is anyone using sound exceptionally well inside the category? Is there a company outside the category that is close in positioning? If so, how are they using the music? The brand custodians should work with the stakeholders (other departments) and sound branding experts (not necessarily musicians or their creative agency) in developing the Audio Branding. Â A concept of creating the Audio Brand Committee that is diverse in their outlook and expertise so that the natural owner music bias does not derail the efforts. Doâ€™s & Donâ€™ts Of Audio Branding. The book â€˜Audio Brandingâ€™ recommends that you do not leave the audio strategy for the last minute. Donâ€™t confuse audio branding with entertainment. Donâ€™t forget that impact without meaning can be distracting and counterproductive. Donâ€™t choose a piece of music just because you like it. Most of are guilty of this act. Donâ€™t just repeat the same music repeatedly. Â Donâ€™t confuse music production houses with audio-branding experts even if they claim to be able to create audio logos. I did find the content very iterative. Many pages are devoted to making a case for Audio Branding. Something that is well accepted, so what, if it has been underleveraged. 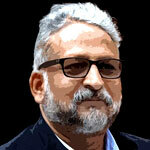 Maybe it is required as the subject is not well exploited and is finding a new buy-in. â€˜Audio Brandingâ€™ is a book that marketers are best advised to read it once. 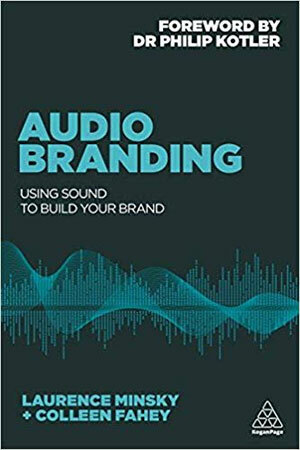 Read â€˜Audio Brandingâ€™ by Laurance Minsky and Colleen Fahey to refresh your understanding of Audio Branding and evaluate if your brand is leveraging it rightly.